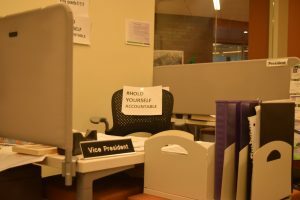 After a rash of hate speech complaints to a Student Senate official and an allegation of a note left under a faculty member’s door, there have not been any more reports of hate speech on campus after the presidential election. “Initially, when President Trump was elected, there was a lot of different things going on, and there still is but…I’m not hearing about that stuff on campus,” said Curt Schmidt, director of Public Safety. After the election, nine students reported to Jacquelyn Roosevelt, director of Policy and Legislative Affairs in the Student Senate, incidents of hate speech regarding student’s religion, country of origin or sexual orientation. A note, which urged a faculty member to go back to North America, signed “The Confederate States of America,” was slid under their door according to an email sent by Jay Williams, Interim Director of Diversity. 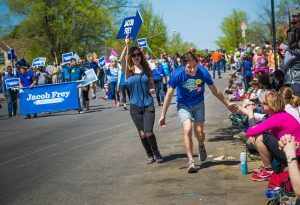 The normalcy has come to almost daily protests around the country, including some in Minneapolis, which MCTC students and faculty have participated in. The challenge MCTC’s administration faces when presented with the decisive language from Trump and his administration is problematic. This issue, compounded with what Williams called a “mixed-bag on the right” is where the tension across the country is coming from. Both Obama and Clinton faced a political backlash for their perceived indifference to small town America. This sense of certain people on the right feeling marginalized is something Williams would like to correct by inviting other viewpoints to be voiced on campus. “Everyone has to feel reflected in our programming, in our curriculum, in the way the school operates,” said Willaims. “If we don’t validate everyone we invite the kind of behaviors, the disengagement, the relationship resistance,” said Williams.